Edited by Adam McLean. Translated by Fiona Tait. 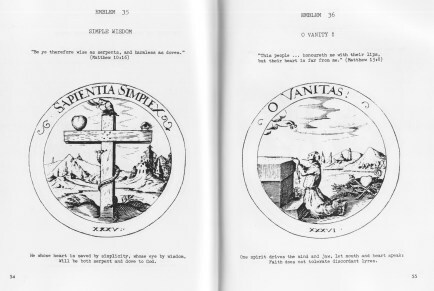 Daniel Cramer's Emblems were issued in 1617 during the height of Rosicrucian publishing under the title 'The True Society of Jesus and the Rose Cross'. 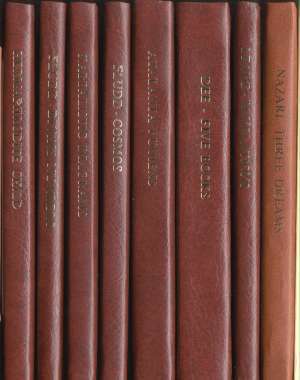 The work was published by the well known Rosicrucian publishing house of Lucas Jennis of Frankfurt. The 40 emblems, arranged in four 'decades', are an eloquent expressions of a meditative process centred upon a mystical contemplation of the heart of man. Each emblem has a title, a verse from the Bible, and two lines of explanation added below, but the symbolism of the engravings speaks for itself. We see the symbol of the heart undergoing various processes, experiencing certain aspirations or emotions, or being purified through spiritual and alchemical operations. 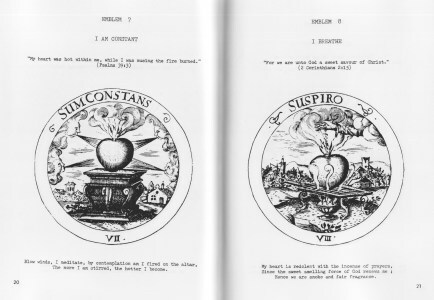 It would seem that this emblem book was intended as a simple statement of the Rosicrucian philosophy in a form which could be grasped through imaginative working with symbols, rather than through abstract intellectual philosophy. As with many of the Rosicrucian books, it stood outside its time and seems not to have made a definite impact on the world of the early 17th century; however, the archetypal symbols still speak directly to us, even some 350 years later, and the content of these emblems remains a valuable tool for meditation. Limited edition of 250 copies. 56 pages. 41 illustrations. A5 Hardbound.